Before we talk about the Sass color functions, let's take a moment to make sure we're clear about the elements of color they manipulate. Traditional color theory breaks any color down into three components: hue, saturation, and value. Saturation is a measure of how "much" of the hue exists in the color-it's intensity. Think of what happens to colors at sunset. The purer the color, the more highly saturated it is. RGB values are a measure of the amount of red green and blue in the color. Each component is a value between 0 (none of that color) and 255 (all of that color). 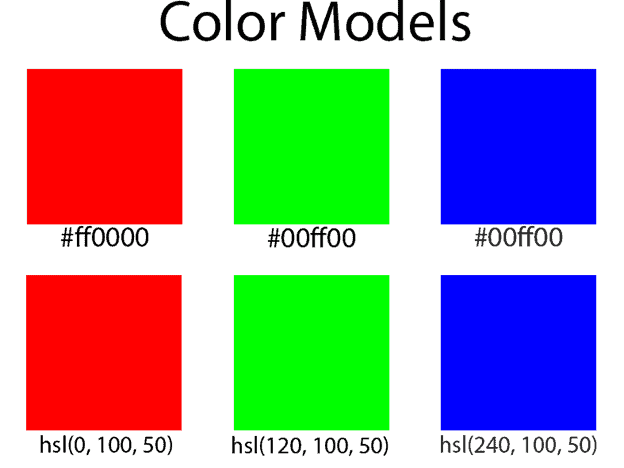 RGB colors are conventionally expressed in hexadecimal: #00ff00 or #2abd35, for example. 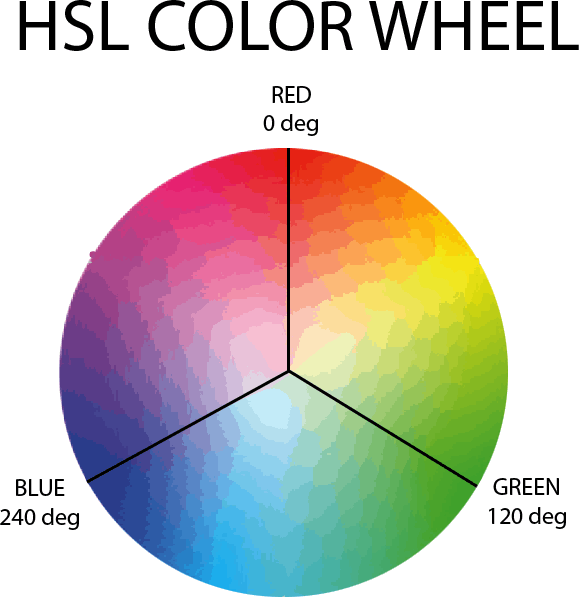 HSL stands for "Hue, Saturation and Lightness". You may also run across the HSV (where the V stands for "value"), and HSB (where the B stands for "brightness") models. Photoshop, for example, uses HSB. Pay attention. It's not the same thing. 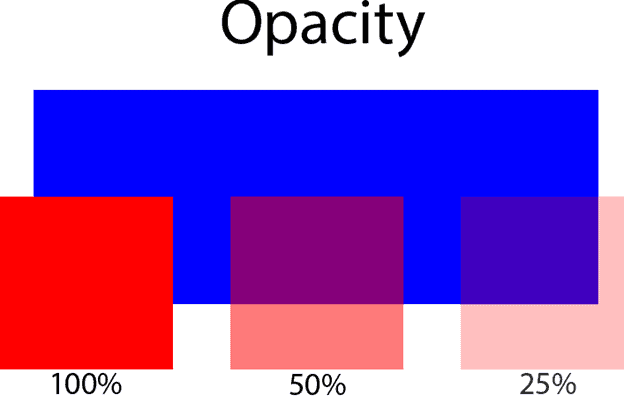 Hue is expressed as a degree on the color wheel (pure red is at 0, pure green at 120, and pure blue at 240), while saturation and value are expressed as percentages. The illustration is a trivially simple example, of course. When translating between RGB and HSL, the hue component can sometimes get a bit ugly. The hue of #ac4138, for example, is 4.65517 degrees. Now that we know what color components we're working with, let's look at the functions Sass provides. We'll start with functions that create a color based on one of the two color models. The rgb() and hsl() are useful for producing more concise CSS. Now that all modern browsers support rgba() and hsla() CSS functions, so the Sass transpiler will keep these functions as it is in the CSS. The remaining three functions, grayscale(), invert() and complement() create a new color based on an existing one. As you can see in the illustration invert(), which inverts each red, green and blue value and complement(), which rotates the color 180 degrees, return very similar but not identical results.